Canyon Falls is a beautiful box canyon and waterfall with several levels of falls. It is considered the Grand Canyon of Michigan. 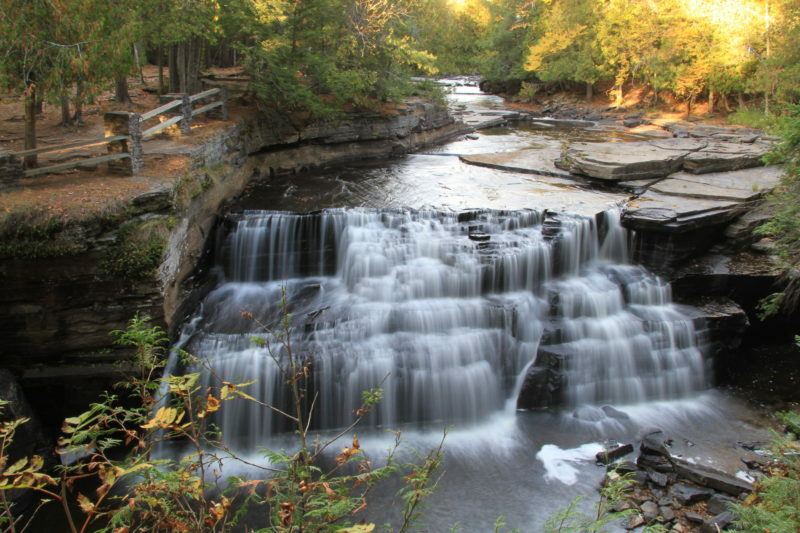 Canyon Falls is located eight miles south of L'Anse on the south side of US-41 at the roadside park. The trailhead starts in the parking lot by the map. It is approximately a 10 minutes walk to view the falls. Picnic tables and rest rooms are available.